Coinciding with Document Records release of Country Pioneers on Edison, Mainspring Press have published a book about the pioneering country recording artist Vernon Dalhart whose tracks 'Just A Melody' and 'Kinnie Wagner's Surrender' feature on the CD. This is the first book-length biography of Marion Try Slaughter (a.k.a. 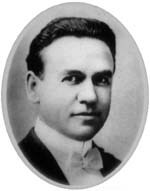 Vernon Dalhart), the colorful Texan who left a budding career in opera to become one of the most popular and prolific of the early country recording artists. The book includes excerpts from Dalhart's previously unpublished personal letters, and from interviews with those who knew and worked with Dalhart, provide a fresh perspective on this pivotal and sometimes controversial star. This highly readable biography by Dalhart expert Jack Palmer features more than forty illustrations, including previously unpublished photos from Dalhart's family and associates.